What are the top landmarks in Hong Kong? Have a fun-filled day at Ocean Park and find out why people love this theme park in Wong Chuk Hang. Amble around this culturally rich area's waterfront and enjoy its top-notch restaurants. Explore the waterfront in Hong Kong with a trip to Hong Kong - Macau Ferry Terminal. Discover the fascinating museums and shops in this culturally rich area. 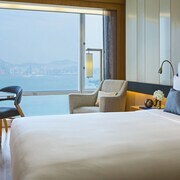 Find out what's happening in Hong Kong Convention and Exhibition Centre during your trip – a top convention centre in Hong Kong. Amble around this vibrant area's waterfront and enjoy its top-notch restaurants. You can find the perfect gifts to bring home when you visit Lan Kwai Fong, a popular shopping spot in Hong Kong. Stroll along the waterfront or experience the fascinating museums in this culturally rich area. You can search for that perfect souvenir when you visit Soho, a popular shopping spot in Hong Kong. Stroll along the waterfront or experience the fascinating museums in this vibrant area. Study the exhibits at Madame Tussauds, a popular museum in Hong Kong. Amble around this culturally rich area's waterfront and enjoy its top-notch restaurants. 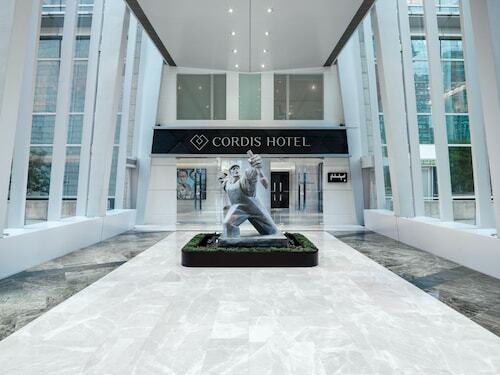 The North Point neighbourhood welcomes visitors, with its convenient options for restaurants. Broaden your horizons with some local shopping. The Sheung Wan neighbourhood welcomes visitors, with its convenient options for restaurants. The neighbourhood has many charming qualities, with its skyline among the more noteworthy. Other highlights include the local shopping and art scene, as well as the natural splendour of the island views. Hong Kong East is a scenic neighbourhood that’s popular for its restaurants. In addition to its skyline, the neighbourhood has many charming qualities. Broaden your horizons with some local shopping. 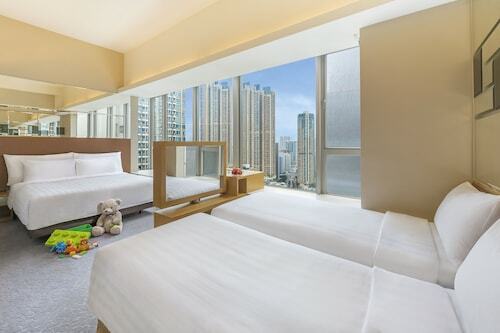 Good room size for Hong Kong. 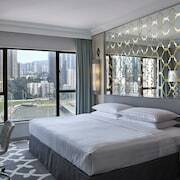 Generally, it is a nice hotel with reasonable price in Hong Kong. We loved Hong Kong and this hotel. Convenience if you just stop over hong kong or would like to visit Disneyland as this hotel is close to Airport and Disneyland. 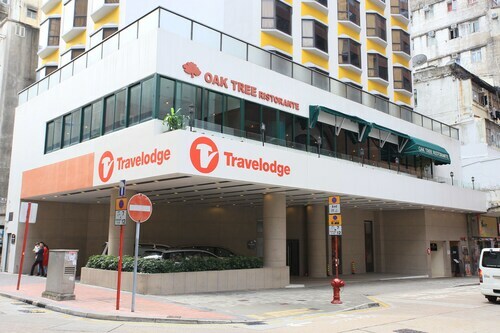 Choose this hotel for my 4days trip in Hong Kong, provide free shuttle bus to few places, so very convenience. 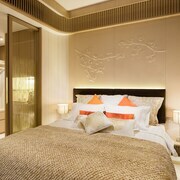 Travellers to Hong Kong give high marks for the shopping, bustling port and top-notch restaurants. Tourists can also enjoy the city's architecture and monuments. Top sights in the city include International Finance Centre, Lan Kwai Fong and Central Ferry Piers. With so many ways to get around, exploring Hong Kong is a breeze. Metro stations nearby include Hong Kong Station and Hong Kong Tin Hau Station. 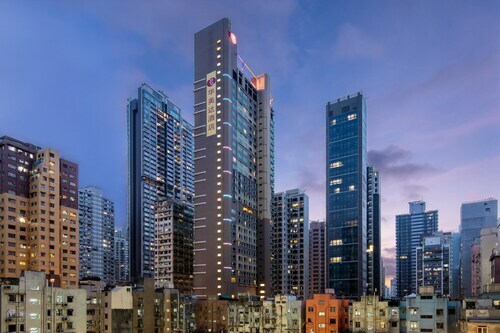 If you want to see more of the area, ride aboard a train from Hong Kong Central Station, Hong Kong Sheung Wan Station or Hong Kong Admiralty Station. You can find out about your options for water transport at the local port.